Shelley Bean: Webster's Pages--Oh, so pretty! 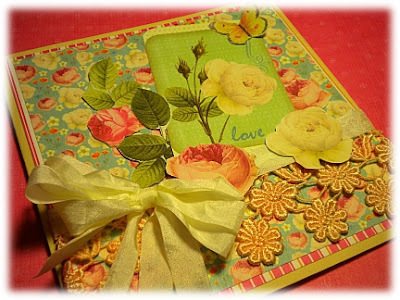 Paper Patch Crafts has some of those beautiful Webster's Pages products available at their store. These are the kinds of papers you would rather hoard that cut up and make into something. But, being the dutiful Design Team member that I am, I took scissors in hand and came up with this ultra feminine card. I hope you like! I also hope you come look at the products available at Paper Patch Craft!! Be sure to come and join us at Facebook for all the updates and challenges!